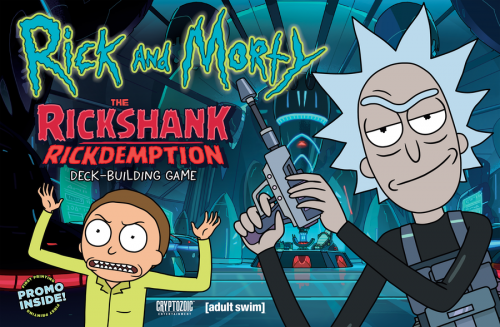 Fill in your details below and we will let you know within 24 hours if we can get Rick & Morty: The Rickshank Rickdemption to you with haste! A sequel to Rick and Morty: Close Rick-Counters of the Rick Kind Deck-Building Game, features a set of council cards that cause players to vote to enact new rules, dramatic one-time effects, and other mysterious situations. Access tokens give players votes and chances to devalue the Galactic Federation currency from 1 to 0.